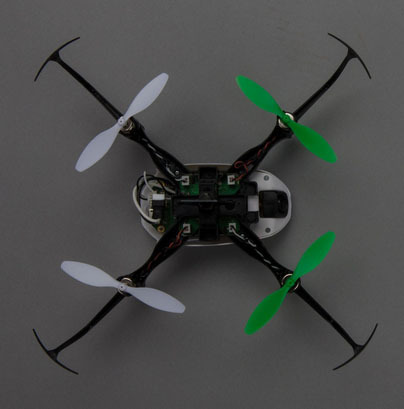 4+ channel, multi-function transmitter with Spektrum™ 2.4GHz DSM2®/DSMX® technology is required to fly. Fun for more than just the pilot, Team View allows the Glimpse drone downlink to stream FPV video on multiple iOS and Android smart-devices. Get the free Glimpse app at Google Play or iTunes stores and enjoy the view. 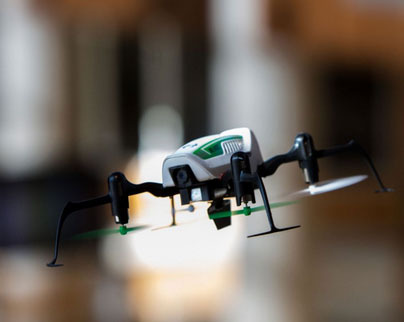 Your smart-device gives you access to the hottest trend in RC. 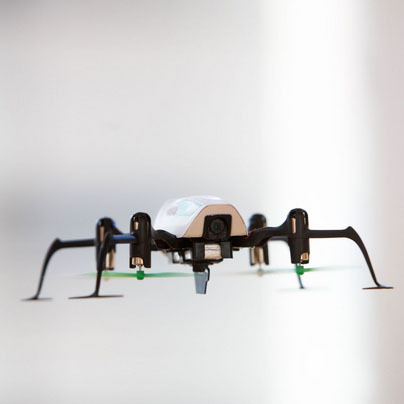 The Glimpse drone allows you to stream live 480p video via 5.8GHz Wi-Fi downlink. We’ve even included a universal bracket that makes it easy to attach your smart-device to the transmitter. 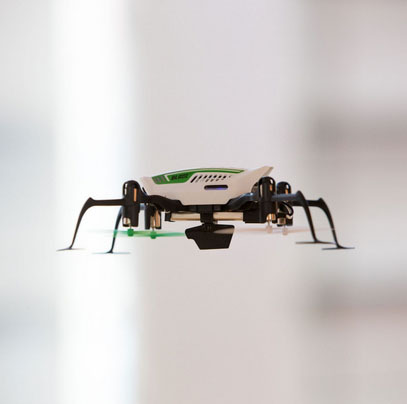 The Blade® Glimpse™ drone features exclusive SAFE (Sensor Assisted Flight Envelope) technology, a revolutionary electronic flight envelope protection system that makes it easy for anyone to start flying quadcopters. 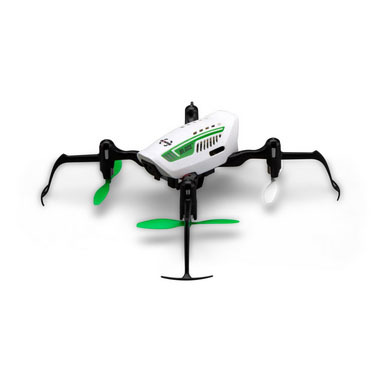 Its intuitive capabilities allow the drone to battle windy conditions so that performance is consistently smooth. Pitch and roll limits are locked to offer a flight envelope that makes staying in control easy. 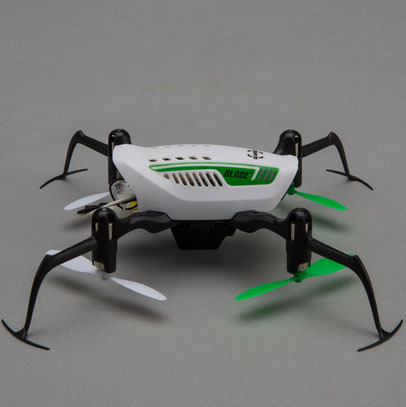 Electronic self-leveling brings the drone into a hover attitude the instant you release the sticks for stable image and video capture. 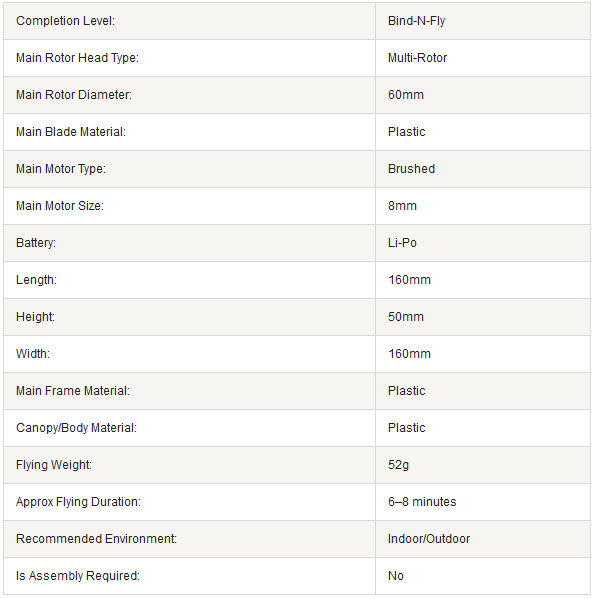 The quadcopter includes a robust group of motors and a rotor design that’s ideal for drone operation. A spare set of rotors is included to keep you flying. The included 500mAh Li-Po battery can be conveniently charged with the included charger that connects to any standard USB output. Expect flight times of 6–8 minutes.